Oktoberfest is proudly brought to you by WMS on a 5 reel and 40 payline slot game! No need to travel far when it’s all available here! 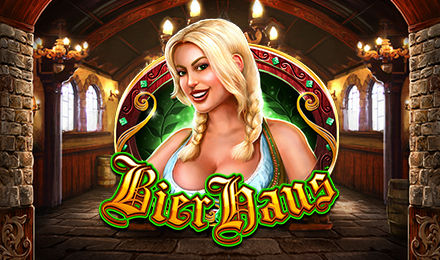 Themed on the biggest beer festival in all of Germany, Bier Haus slots is a 5 reel and 40 payline slot. The game packed is with beautiful women, beer steins, beer mugs, nuts, accordions, beer castles and a lot more. WMS bring forth a game with HD graphics and realistic sound effects. Benefit from the locked wild symbols where pins will lock on your slot grid and grant you massive payouts along with high winning potentials. The game also has the Free Spins Feature where you can trigger more than 80 free spins upon retriggering the feature.